Learning to play online slots could not be simpler as there are no complex rules or betting structure to follow. With slots, previous experience and skill are hardly necessary as whether you win or lose on the next spin is based solely on luck. What is more, players are guaranteed to find a title that fits their individual preferences, style, and budget since reputable online casinos offer an unprecedented diversity of slot variations, each one boasting a bespoke theme, graphics, features and betting limits. The majority of slots you can play online fall into the multi-payline category, providing players with a greater number of winning opportunities. Most slots are based on the same principle and there are hardly any deviations in terms of rules. The gameplay itself consists of players actually deciding how many paylines to bet on, what coin value to use and how many coins/credits to bet on every spin. That is why, understanding what paylines are and how they work is of essential importance if you wish to emerge victorious when spinning the reels. The following article aims at introducing slot novices to multi-line slots and their principle of operation. As far as slots are concerned, the objective of the players is to land a winning combination of symbols on an active payline when the spinning reels come to rest. The payline is a line which rewards players with a payout, depending on the winning combination of symbols they have landed. In other words, the payline is a succession of positions on the slots which awards payouts from left to right whenever several identical symbols are spun on the reels. The classic 3-reel slots and fruit machines typically feature a single payline, positioned across the middle of the screen. This is not the case with multi-payline slots where the number of lines may sometimes exceed 100. These can stretch diagonally or horizontally, take on V shapes or even zig-zag across the reels. As paylines practically correspond to winning combinations, the greater the number of lines on the slot, the greater the chances of players hitting matching symbols on the reels and collecting a payout. From this, it follows that it is possible to land several winning combinations on a single spin of the reels thus, turning more substantial profits. On most multi-line online slots, the paylines are read from left to right, which has become somewhat of the standard. However, it is also possible to find online titles where the paylines award winnings in both directions, left to right and right to left, which further increases players’ chances of earning a payout. The number of available paylines on a slot depends on the possible number of winning combinations, which on its own is limited by the number of reels the game incorporates. It is possible for players to hit winning combinations on several paylines on a single spin. The payouts depend largely on the identical symbols that land on the reels. Typically, there are high-paying symbols and low-paying symbols. The latter are commonly represented by high cards like Queens, Jacks, Kings, Tens, and Aces. 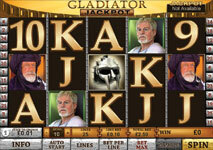 The high-paying symbols are game-specific and depend on the overall theme and storyline of your slot of choice. The payouts for each symbol are listed in detail in the game’s paytable along with the available paylines’ positions and the slot’s bonus features. One important thing to bear in mind is that the number of paylines has to do with the amount players wager per spin. In other words, each payline you activate and play on is considered a separate bet. For instance, if you use a coin denomination of $0.10 and have activated a total of 25 paylines, you are practically wagering $2.50 on every spin i.e. provided that you bet only a single coin per line. That is why, your bankroll size is among the key things to factor in when choosing which online slot to play. Many multi-line slots allow players to bet up to ten coins per line on ever spin. Needless to say, this might exhaust one’s bankroll in a matter of minutes if they do not adjust their bet amounts per spin in accordance with their budget. Multi-line slots can be classified into two major categories. Some have fixed paylines, while others allow players to adjust the number of lines they wish to bet on. You will be able to find a more detailed information on those below. As the name itself indicates, slots with adjustable paylines enable players to select the lines they wish to place their bets on, which renders them more suitable for slot fans with a limited budget. The number of lines is typically adjusted by pressing the button that reads “Bet Lines” or “Select Lines”. When players click on the said buttons, the paylines they want to activate will be temporarily displayed across the reels. However, players should remember that they will pocket payouts only on the lines they have activated and bet on. If any given player lands several matching symbols on a deactivated payline, it will not pay. Slots with fixed paylines are considered the more suitable option for players with sizeable bankrolls. Such games do not allow you to select which paylines you want to bet on as all available lines are automatically activated on every single spin. However, such titles often have plenty of extra features like free spins and bonus rounds to compensate for players being forced to bet on all, fixed lines. As was previously mentioned, the winning combinations of most multi-line slots are read from left to right. While this has become the standard to a great extent, players may be able to find some online slots which offer win-both-ways paylines. In other words, winning combinations may be formed in both directions. Other than that, the slots’ gameplay and interface remain the same, so one will hardly experience any issues figuring out how to play. Depending on the slot, the win-both-ways feature may be unavailable during base-game mode. Thus, players will have their winning combinations read in both directions only when they succeed in triggering a round of free spins, for instance. Please note there is no difference in the payouts on winning spins, regardless of the direction in which they have landed on the payline. It is hardly surprising win-both-ways slots enjoy a tremendous popularity among players. First of all, slot fans will not experience as many near-misses as they would on a left-to-right game. And second, because slots in this category offer players a greater number of winning opportunities. However, this is also reflected in the odds as win-both-ways slots often come with a much higher volatility. They either pay less frequently or offer smaller payouts on more frequent wins. This format was first introduced by software supplier Microgaming, but other developers soon followed in its footsteps. Slots which utilize the 243-ways-to-win format work roughly in the same manner as standard multi-line slots. There are typically five reels, with three symbol positions on each. Players again select the coin value and the number of coins to bet per spin. There is one major difference, however, and it results from the fact these slots do not feature paylines per se. Of course, players are still required to line up a given number of identical symbols on the reels. However, these do not necessarily need to appear across specific paylines in order to pay out. Matching symbols simply need to show anywhere on adjacent reels. The payouts for this type of slot typically depend on the number of the identical symbols that have appeared on the adjacent reels. In other words, the symbols appearing on the reels work the same way adjacent scatters do. This further increases the convenience of less experienced players as they are not required to keep track of multiple paylines. As was previously said, many online slots have fixed paylines which renders it possible for players to select the lines they want to bet on. This is to say players are required to bet one (or more) coins/credits on all available paylines on every rotation of the reel. The only thing they will be able to adjust is the number of coins and their denomination. The amount you should bet per spin also depends on the type of slot you have opted for. For instance, if you are playing a progressive slot, more often than not, it would be necessary for you to bet the maximum amount, allowed per spin, in order to become eligible for the huge jackpot. Otherwise, you will not qualify for the prize, even if you succeed in landing the symbols that activate the jackpot. Players on a budget often decide in favor of playing slots with adjustable paylines where they can choose which lines to bet their coins on. Some slot fans prefer to activate a smaller number of paylines and wager several coins on each. While this allows one to keep their budget in check and prevents them from depleting their bankroll quickly on a bad streak, it is important to remember that only the activated paylines would pay. If you land several matching symbols on a deactivated payline, you will not collect a payout. Choosing your multiplier, or the number of coins/credits you bet per line, is of equal importance. Of course, players are again required to take into consideration their overall budget for the betting session. Players with substantial bankrolls often prefer to bet the maximum amount allowed, with the maximum number of coins/credits per payline. To do so, one simply needs to click on the Max Bet button. However, if a given player’s budget is only $100, it would be far from clever to place maximum bets of $10, for instance, as this may drain their bankroll in just a few spins. Betting the maximum number of credits is justified whenever this is a requirement for unlocking special bonus features or jackpots. Players, who can afford it, are recommended to bet the maximum number of credits as wins would pay at higher multiples in such cases. If you have a limited budget on your disposal, it would be best to look for slot titles that come with lower maximum-bet amounts, rather than reducing the number of paylines and coins you bet per line. One way to distinguish which slot has higher fixed betting amounts is by checking the coin denominations. Typically, slots with high coin denominations have higher maximum-bet amounts and offer higher, though less frequent payouts.